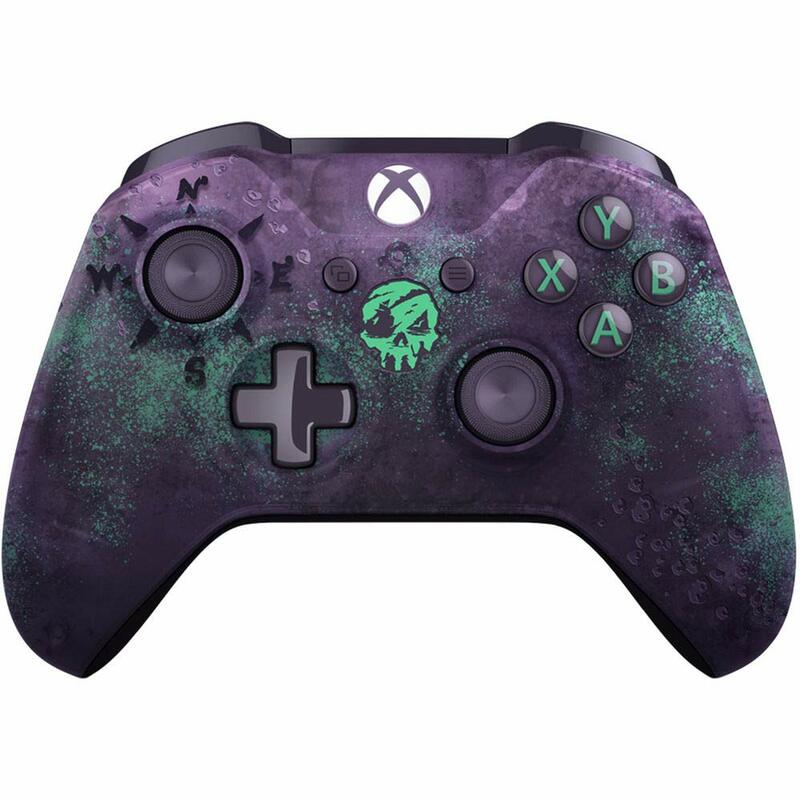 Weigh anchor and get ready to fight, sail, and loot in style with the Xbox Wireless Controller - Sea of Thieves Limited Edition. Gaze into the murky depths of the deep purple translucent design, adorned with laser etched barnacles, one treasured golden trigger, and haunted by a mysterious skull that glows at sundown. Enjoy custom button mapping and plug in any compatible headset with the 3.5mm stereo headset jack. Also includes Bluetooth for playing, plundering, and pillaging on Windows 10 PCs and tablets.